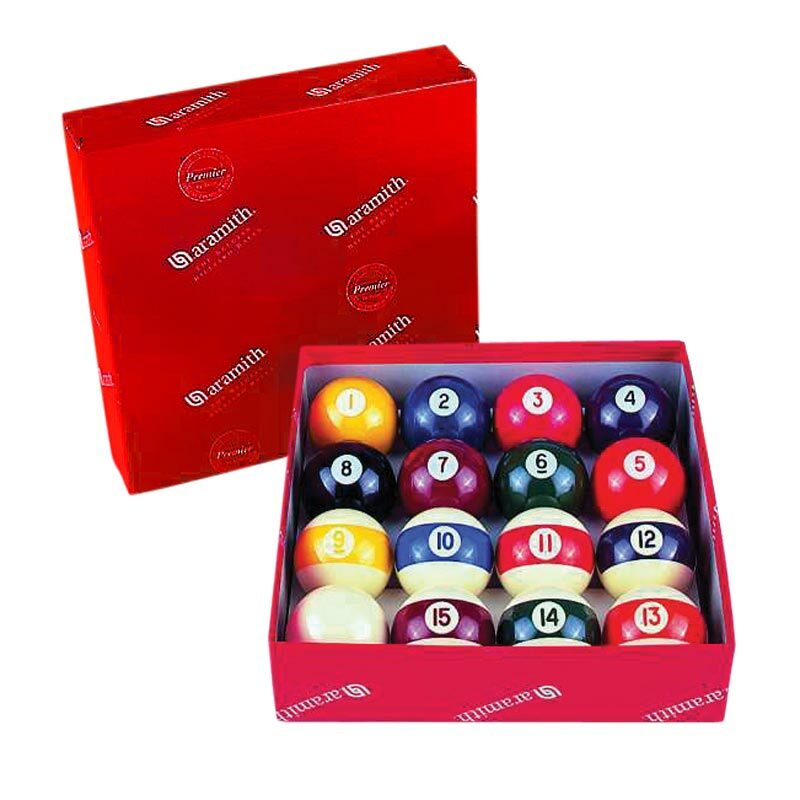 Available in 1 3/4", 1 7/8" and 2"
The printed Aramith Pool Balls are manufactured from durable phenolic resin, however in order to reduce the cost the colours and numbers are printed onto the surface of the ball. Although not as durable as the engraved quality these balls offer good value for domestic use. Perfectly round and balanced with uniform weight and hardness. Available in sizes 1 3/4", 1 7/8" or 2".